I have 4 children, so I obviously do not fall into the ‘only child’ category. However, I have friends that homeschool ONE child and I know that the ripe old questions of socialization is even more overused in these circumstances. I thought it would be a great opportunity to pick the brains of those moms in this category and share it with all of you! My husband and I prayed together and came to the same conclusion. Our entire family was flourishing in this life we’d “happened” into. Our son was content, gently challenged and interested every day in what was ahead. So we graciously declined the invitation, and we have homeschooled ever since. What you really want to know is what it’s like to homeschool an only child. What are the challenges and benefits? And what would I change? I am a mom with one child… AND I dare to homeschool NOT worrying about socialization. Weird huh? So how does that all work you think? Beth @ Ozark Ramblings — 1 (teacher) + 1 (student) = ? 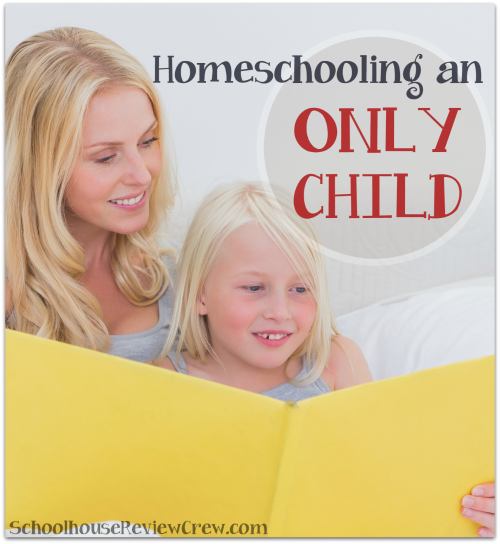 Homeschooling an only child? I’ve never done anything else. I don’t know if that makes me an expert, but it certainly makes me well experienced. So let me share with you The Good, The Bad, and The Ugly. Need some inspiration on how to Homeschool an only child? I want to share with you a few of my very favorite tips. Some of these things have saved my life…and possibly my sanity!